Believe it or not, tennis bloggers are people too. With apologies to Shakespeare, If you prick us, do we not bleed? If you tickle us, do we not laugh? If you poison us, do we not die? If you show us the Brian Baker story, do we not discreetly fist pump in the press seats when he wins? A little something different today, with the Olympic tennis draws being released, we profile three players who we would love to see on the medal stand this Olympics. We're not talking true favorites like Roger Federer or Serena Williams, but sentimental favorites; players, like 2008 gold medalist Elena Dementieva. The two-time major finalist with the mind-bendingly horrendous serve capped off her fine career with an Olympic win and then said, "...the Olympic Games, they're so much more important to me [than majors]. Here are five players who might at least put the Olympic gold on par with a major win if they can pull off the feat in London. 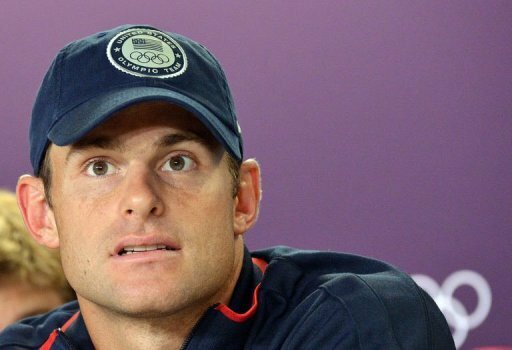 Andy Roddick - Has there been a top player more unappreciated than Andy Roddick? If Milos Raonic wins (just) one US Open, the Canadian Open (Rogers Cup these days) would almost definitely be played in the Raonic Tennis Centre. Yet, America's historical dominance in the sport. The oft overlooked American, has a great grass record, three times reaching the Wimbledon final. It feels like he's been playing for a second major since we first heard of him. Olympic gold, best 2 of 3 sets, on grass, at a venue where he's had an incredible amount of success, doesn't feel out of reach. 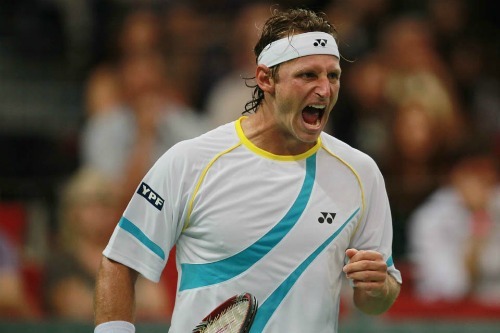 David Nalbandian - The 30 year old Argentine is one of the few players to regularly put a scare into Roger Federer and Rafael Nadal, the Spaniard, for his part, has only once in seven meetings beaten Nalbandian in straight sets. He's been as high as 3rd in the world, a Wimbledon finalist and a semifinalist at five majors. The Argentine has been a Davis Cup stalwart for his nation, three times leading his nation to the Davis Cup final and coming up empty each time. Olympic gold would have been an incredible statement for Nalbandian. Unfortunately, he lost in the first round. David Ferrer - Toiling behind the Big Four and living in Rafa's shadow as the second banana in his own country shouldn't diminish David Ferrer's fine career. He's made three major semifinals and surprised many with a run to this year's Wimbledon quarters. He's been playing stellar grasscourt tennis this year, winning the S'Hertogenbosch title prior to Wimbledon and then playing eventual finalist Andy Murray toe-to-toe for four sets. The 30 year old who shockingly has never managed to win even a Masters series title, would certainly feel Olympic gold is the cherry on top of a stellar career. Whenever you can, carry ones observe into a typical repair with an expert clean. louis vuitton replica sale And also, most important, never use chemical compounds on your watch. hermes replica handbags Keep in mind that a superb diamond filled watch is actually certain to help very last a life long if cared for it right way. cartier replica watches Rupa Aggarwal is the famous writer here i am explaining about a few digital watches also have an Mp3 player which allow you to listen to music. louis vuitton replica handbags Digital watches Online shopping stores have one catalogue with a huge collection to choose from. rolex replica Everyone desires to look fashionable and trendy in the recent time. chanel replica handbags People prefer to wear fashionable outfits, trendy footwear, and branded accessories in order to enhance their personality. You definitely need to read this article about troubles you could experience while trying to choose college major.